Once we tweeted about a niche term relating to the speed of websites serving useful content to users (very important stuff! ), but not even Twitter bots reacted to it. Some might have gotten demotivated by the fact – but not us! We took that as a sign that the World is terrifyingly unaware of good customer service on the web and decided to do something about it. This blog post is our follow-up. Why Would You Want To Follow Up on a Website Speed Problem? Here’s why: if your website is slow to load users can’t really tell the difference if it’s “just” slow or isn’t working at all. In other words, having a slow website is as good as not having one – and that means most users will not stare at the screen waiting as long as it takes – but will instead close your page and never come back. Because “too slow” is so subjective, time perception research identified that “fast” usually means staying under 1/4 of a second. When something takes longer than one second, attention starts drifting and users are tempted to switch to an alternative task, forgetting the original intent. After 10 seconds, users completely shift to a different task. Are There Good News About Web Page Loading Speeds? There is also the good news: website users are willing to wait for the page to load – so long as they see the overall web page structure and notice page loading progress. Not all website platforms are optimized for progressive loading, so ideally you should monitor a couple of key page loading speed indicators. Visual Loading Progress Matters – an Illustration Page A quickly loads visual elements (site navigation, text, images) so that a user sees the majority of its usable content within 1 second. Page B loads some visual content, but takes about 10 seconds to load supporting components, showing the user meaningfully visible content after 11 seconds! Unfortunately, the case of the B page is not that uncommon, as websites component loading order is not automatically optimized. There is a term that measures the time it takes for the web page to load just enough content to be usable (visually complete). Obscure nerd metric warning: the sought term signifies that the visible part of the screen is loaded and is called domContentLaded time. 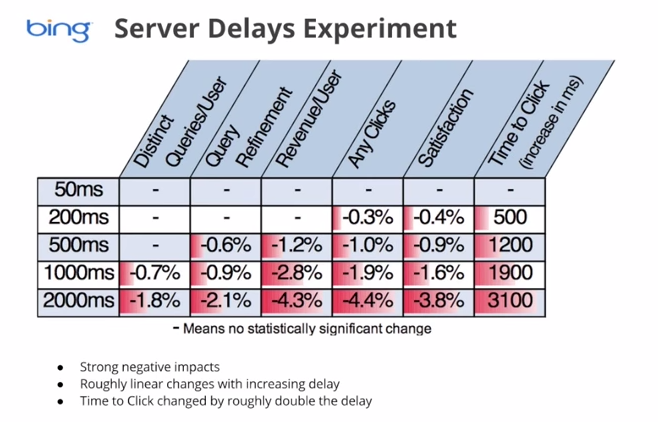 This metric would be close to 1 second in case of the page A above, and clock at 11 seconds for the page B.
Server Response Time is how long the user’s browser needs to wait before it starts loading your website. 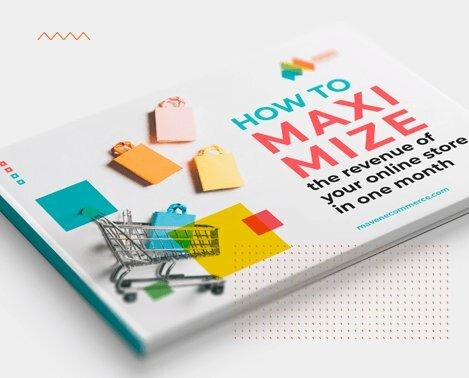 In our experience, professional-grade e-commerce websites are typically professionally hosted, so this part of the loading process is already optimized in most cases. Core Visible Content Loading Time (domContentLoaded event) is how fast the user can see enough website content to consider the page loaded (navigation, text, images) – all while different website components are actually still loading. Document Complete Time is when the web page components are fully loaded. Full Page Load Time is a technical value that marks 2 seconds of network inactivity and adds that time to the Document Complete value. Of all the values, domContentLoaded is the most important, as it registers when users perceive that the web page is loaded – even when that’s not so, strictly speaking. This metric is typically not optimal the older the website platform, as legacy add-ons, unused components and poorly functioning extensions block loading the components that complete the visual part of the page. You can check these (and more) metrics for any website and web page by entering the URL on WebPageTest website. 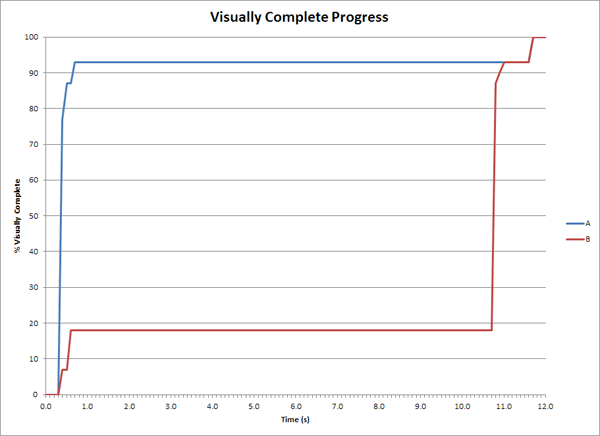 How does your domContentLoaded (Visual Complete) value compare to the Document Complete Time? Is it closer to the First Byte Time (great!) or just before the Document Complete Time (needs optimizing)? If your website runs on Magento we’ll be happy to take a look at your store and advice on how to increase your website speed both the visual completion of the pages, as well as the Document Complete time. Feel free to take a look at our Magento Optimization Plans or email us directly.